Triune Music continues to provide an instrument for the Fellowship of American Baptist Musician Conference at the scenic Green Lake Conference Grounds in Green Lake, Wisconsin. This year’s organ clinician is Sue Mitchell-Wallace. Sue Mitchell-Wallace is an award-winning Fellow of the American Guild of Organists and the American Society of Composers and Publishers. Her recordings and compositions for choir, congregation, and handbells are published in the United States, the United Kingdom, and Australia. 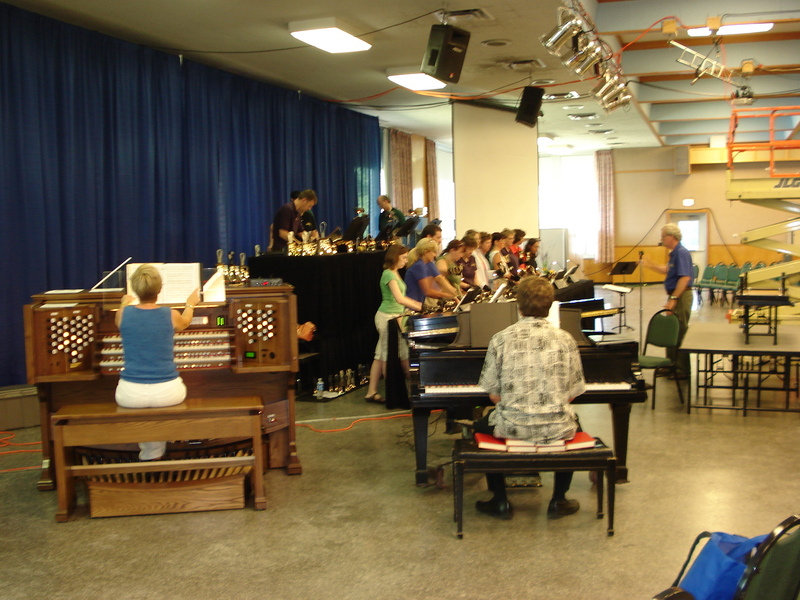 She has been clinician and organist for Montreat Music Conference, the Fellowship of Methodist Musicians Conference at Lake Junaluska, the Hymn Society of Great Britain and Ireland, several Hymn Societies in the United States and Canada national conferences, and has led workshops at several AGO conventions. Mitchell-Wallace is the organist – choirmaster at St. David’s Episcopal Church. Singing our Faith is her recording of an exciting hymn festival at Calvin College Chapel in Grand Rapids, MI, and is available from Selah. She is also the recitalist on the popular video, The Art and Craft of Playing Hymns.